January 06, 2014, MCLEAN, VA — Change is inevitable, especially when it comes to technology and business. Being prepared for those changes can be the difference between success and failure. 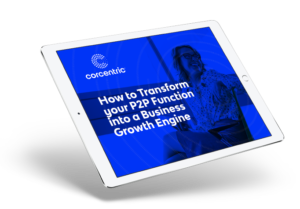 Corcentric, a leading provider of accounts payable automation and electronic invoicing software, looked at the continuing and upcoming trends that appear to dominate finance, with a special focus on the trends in AP automation. The first Webinar in 2014 “AP’s Big Issues for 2014: Are You Ready?” takes place on Wednesday, January 15, 2014 at 2:00 PM ET/11:00 AM PT, and will detail five major issues that will affect accounts payable well beyond this year. As a bonus, this Webinar will also feature a demo of COR360, Corcentric’s comprehensive Accounts Payable workflow solution. Visit https://www.corcentric.com/events/ for additional information on this Webinar event or to register.